The Galaxy A3, A5 and A7 recently received the Android Oreo update. If you recently installed the stock Oreo firmware, you must have lost the root privilege you had been enjoying before that. In this tutorial, we’ll see how we can root Samsung Galaxy A3, Galaxy A5 and the Galaxy A7 (2017 Edition) with model number SM-A320FL/ A520F/ A520K/ A520L/ A520S/ A520W/ A720F/ A720S. The Samsung Galaxy A5 2017 and Galaxy A7 2017 aren’t exactly new devices. Therefore, methods to root the devices have been around for quite some time too. While Samsung is not known for updating its devices timely, if you did receive an update on your Samsung device after December 2017 you may know about the infamous “Only official released binaries are allowed to be flashed” problem. Both the Galaxy A3 2017, Galaxy A5 2017 and Galaxy A7 2017 did get those updates and thus cannot be rooted using the traditional methods. Fortunately for owners of these devices, some devs have found a way around the problem allowing you to install TWRP and root your devices again. To summarize the problem, Samsung introduced a new prop to the Download mode. This prop is related to the theft protection Samsung has included in its latest firmware. The device stores your Google account information in a separate FRP partition on the device. In the chance that your device is stolen, the thief can always wipe your device and then use it with his own account. Not if you have a Samsung device with the latest firmware though. Because the device has your account information on a separate partition. The device won’t allow the thief to use the device without signing into the Google account. His way around would be to install a custom binary, remove the FRP partition or install a custom ROM. Thanks to the new prop though, he can’t. He will get the message “Only official released binaries are allowed to be flashed”. If you’re the owner of the device though, you can certainly bypass this. That means you can install a custom recovery and even root your Galaxy A3 2017, Galaxy A5 2017 and/or the Galaxy A7 2017. Installing a custom recovery on your device requires unlocking the bootloader which will void its warranty. If you’re here though you’ve probably already made up your mind about it. We can assure you that the method mentioned below has been successfully tested and that it works perfectly fine. What we can not assure you of is that everything that you do (even if you follow this guide exactly) will produce the desired result. That is to say, there’s always a risk that something can go wrong. In which case, you must understand that you were warned, and you still went with it anyway. Therefore, DroidViews cannot be held liable for any damage to your device. A Samsung Galaxy A3 2017 (A320FL), Galaxy A5 2017 (A520F/A520K/A520L/A520S/A520W) or a Galaxy A7 2017 (A720F/A720S) Exynos variant with an unlocked bootloader. A Windows computer with ADB and fastboot installed and set up. You can follow this guide to install ADB and fastboot on your Windows PC (install minimal ADB and Fastboot). You’ll also need to install the latest Samsung USB Drivers in order to get things working. Enable USB debugging and OEM Unlock on your Galaxy Note 9. To do this go to your Settings > About phone > Software information. Now tap on the Build number 7 times until you see a toast message “Developer option enabled”. Go back to Settings and you should see Developer Options listed towards the bottom. Tap on it and enable OEM Unlock and USB Debugging. In case you don’t see an OEM Unlock option here, there’s currently no workaround so you will just have to wait until there is. Ensure that your Galaxy device has at least 50% battery. The process mentioned below will erase all user data including everything on the internal storage. Make sure you have a backup before you begin. Press and hold the Volume down + Home+ Power buttons together until you see text on the screen. Press Volume up here to enter Download mode. 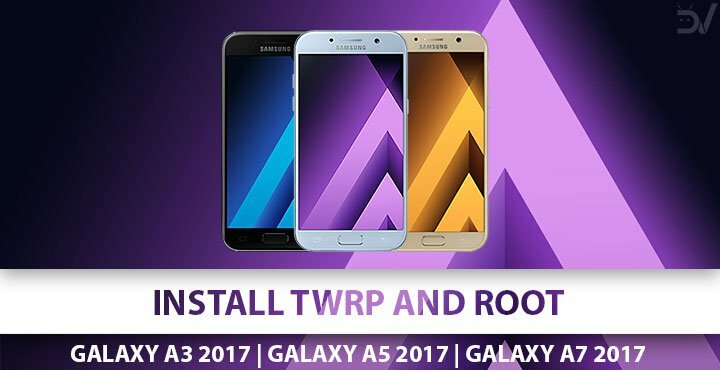 Click on the AP button and select the downloaded TWRP image file: twrp-3.2.3-0-a3y17lte.img.tar (for Galaxy A3) twrp-3.2.3-1-a5y17lte.img.tar (for the Galaxy A5) or twrp-3.2.3-0-a7y17lte.img.tar (for the Galaxy A7). Click Start at the bottom. When the process is complete, you will see a PASS!message displayed on Odin. Your device won’t reboot automatically since we disabled the Auto Reboot option. Now follow the instructions given below. Do NOT let your device boot up because that will lock your device and you’ll have to repeat everything right from the first step. Disconnect your device from the PC and press and hold the Volume down and Power buttons together. As soon as your device turns off, press and hold Volume up + Home + Power buttons to boot your device into TWRP recovery. Download the No-Verity Encryption Disabler, Magisk, and RMM-Bypass zip files and transfer them to an external microSD card or USB OTG. Insert the microSD card or USB OTG into your Galaxy phone. From the TWRP menu select Install, and select the RMM-Bypass. Once the flashing is complete, go back to the TWRP main menu and flash the DM Verity disabler zip similarly. This will disable the data partition encryption. When that’s done, flash Magisk now to root the device. After Magisk has been flashed, select Reboot system. When your device boots up, turn off Report diagnostic info in Settings > Privacy and safety. I just lost 500$, thanks. I followed all of the steps exactly and turns out rooting a520w on oreo doesnt happen, it only creates a bootloop. 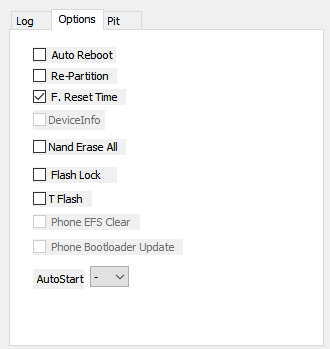 Hey, it’s just a bootloop and can be easily fixed by installing the stock firmware. Let me know if you want help.